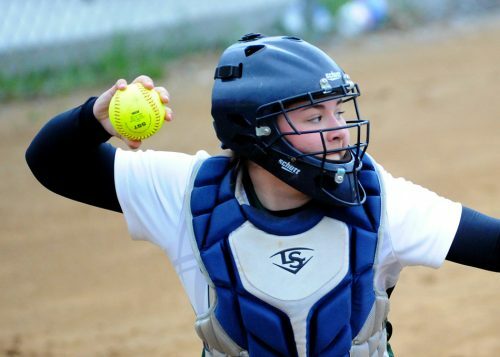 SYRACUSE – Wawasee’s softball complex certainly wouldn’t be considered among the famed launching pads like Coors Field or even the old Atlanta-Fulton County Stadium. But the ball was once again flying out of the yard in bunches as Wawasee clubbed its way past Concord, 8-2, Monday night in the final game of the first rotation of the Northern Lakes Conference season. 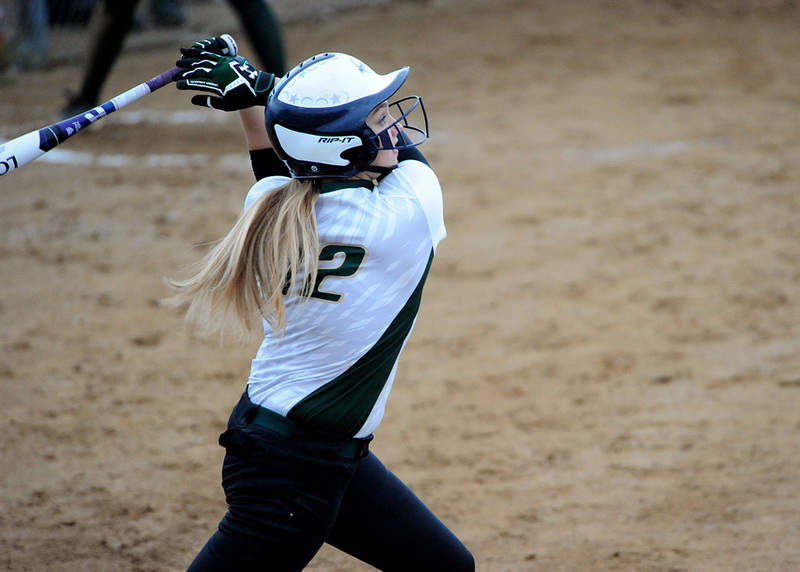 Madie Wilson locks in on a base hit for Wawasee. Wawasee smacked three more homers Monday to run its season total to 16 homers overall, two by Meghan Fretz and another by Kayla White, her first career homer. Fretz and White homered in the first and Fretz hit a no-doubter in the fifth. Fretz also added a solid single to push her batting average to .592 this season. White also had three hits on the day. Cristina DeLaFuente ripped a two-run triple in the fifth among her two-hit day, and both Graceann Kerlin and Hannah Haines each had two hits. Kylee Rostochak walked twice and scored a run. Graceann Kerlin gunned down another baserunner Monday evening. Fretz was just as monstrous in the circle, striking out 11 Concord hitters. But the Minutemen did cause problems in spots, only for Fretz and company to get out of trouble when needed. A leadoff single by McKenzie Loge in the fourth broke up Fretz’s no-hit bid, but Concord drew a pair of walks to load the bases without an out recorded. A pair of fielder’s choices and a strikeout produced just one run, and a little laboring in the seventh from Fretz, who walked six batters overall, still allowed just one more run. In all, Concord managed just one hit as Wawasee moved to 6-1 overall in the NLC as round two will begin Wednesday. Kiley Austin took the loss for Concord, giving up five runs on five hits and a walk, serving up the two homers in the first. In the JV game, Concord doubled home two runs in the top of the ninth to take a 5-3 victory. 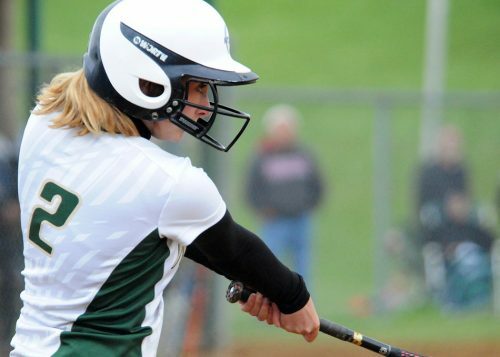 Leah deSomer homered to highlight Wawasee’s day. Wawasee (14-3) will visit Warsaw Wednesday, a 6 p.m. varsity start. 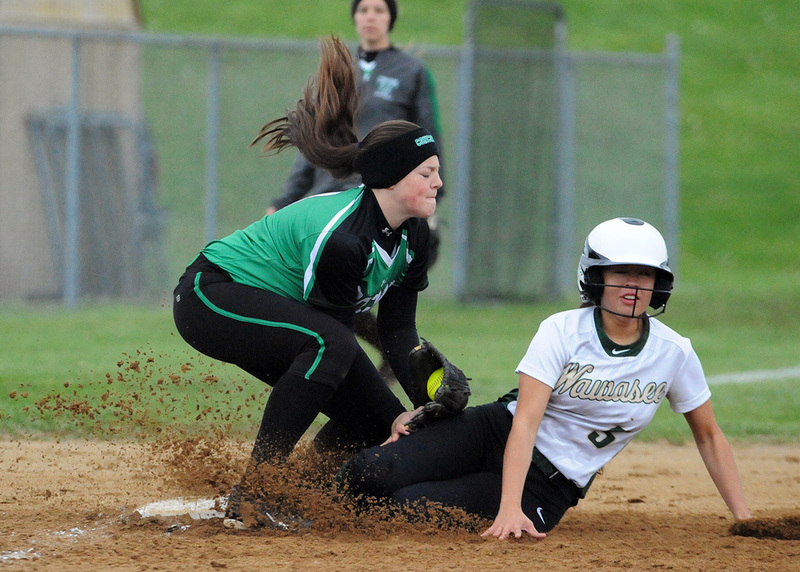 Wawasee’s Cristina DeLaFuente slides under the tag attempt of Concord’s Skylar Decker to complete a two-run triple.